You try your best to maintain a beautiful lawn and keep a pretty property that's appealing to both you and anyone who may drive by. You're proud of the space you've created, and you plan to keep it that way. If you're maintaining your lawn all year-round, you may have asked yourself, "When is the best time to dethatch my lawn?" If so, read on for a few tips to a successful lawn dethatching process here in Arizona. Before you begin, you'll want to understand exactly what the process is and why you're doing it. Dethatching is the mechanical removal of organic matter that forms a thick layer between the vegetation and the surface of the soil. Over time, dead and decaying roots, stems, rhizomes, and shoots begin to build up. When this layer exceeds 1/2 inch or so, your lawn's ability to resist Arizona's dry climate and drought seasons can be greatly reduced, as the grass roots will begin to grow in the thatch rather than the soil, choking off vital water and nutrients. Dethatching is a process that can actually harm your lawn if not done at the proper time. You'll want to dethatch when your sod is established and actively growing, NOT when it is newly installed. The sod needs to have established a mature root system before dethatching can happen. Aim for a time when you can anticipate at least 45 days of good growing weather ahead of you. This will allow the grass to repair without risking damage from the dry air, sun, and heat that is common in Arizona’s summer months. 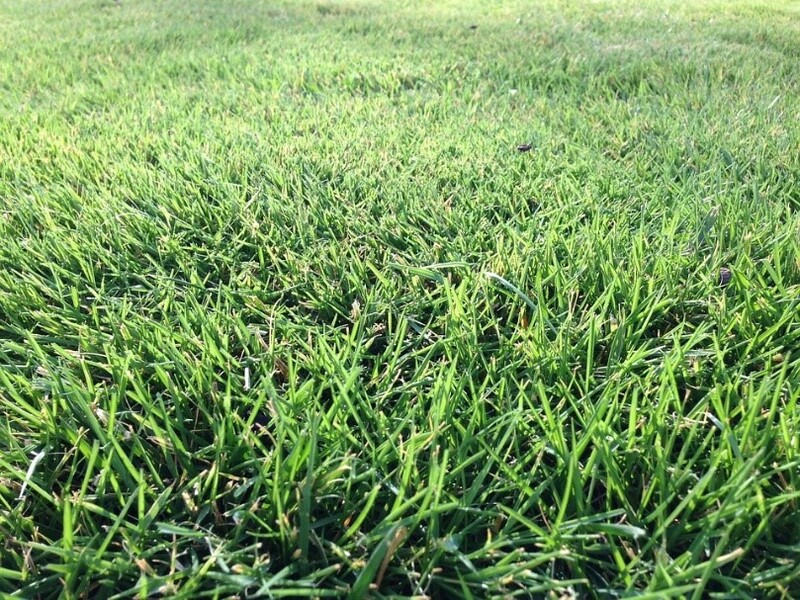 Grass responds poorly to dethatching in a drought or heat wave, so plan to put off the process until fall if you’re reading this in the middle of summer. Does the Type of Grass Affect the Time You Should Dethatch? In one word: Yes! Different types of grass require very different approaches in terms of care and maintenance. Warm Season Grass. In parts of the country where winters are frigid, you would want to avoid dethatching warm season grasses (Bermuda, buffalo, zoysia, for example) in March or April because spring frosts will likely impede growth and cause damage. In Arizona, however, this can be the best time to detatch your lawn if you have warm season grass. You're looking for a time when the night time air temperatures are averaging 60 degrees or more, and your grass has started to produce new growth. Cool Season Grass. Cool season grasses (bluegrass, fescue, and rygrass) tend to be lower maintenance and often require less thatching. Generally speaking, early fall tends to be the best time to detatch cool season grasses if it does become necessary. If your lawn tends to produce a ton of thatch, it might be best to undergo this process annually to keep it at bay. Otherwise, check in every other year. Don't spin in circles wondering, "When is the best time to dethatch my lawn?" Contact our team at Evergreen Turf, and speak to one of our specialists to make sure you're doing best by your lawn!